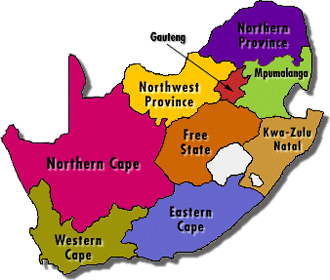 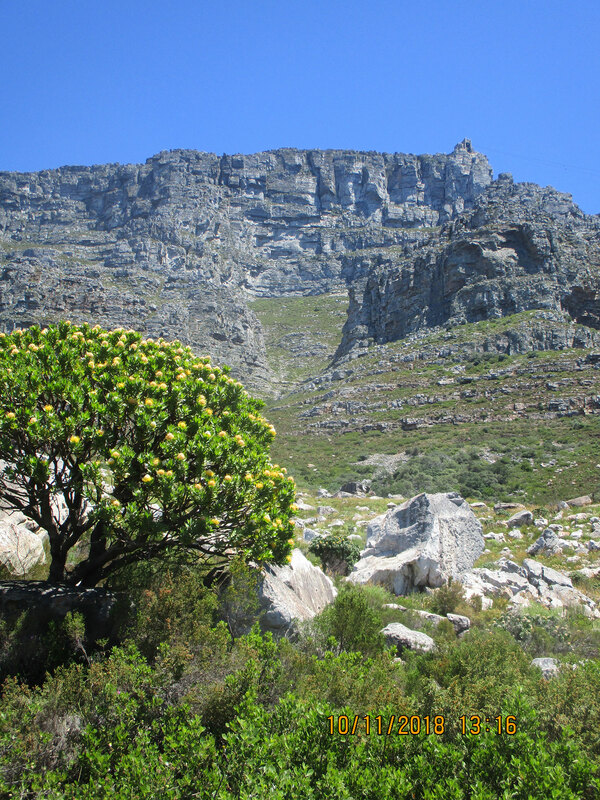 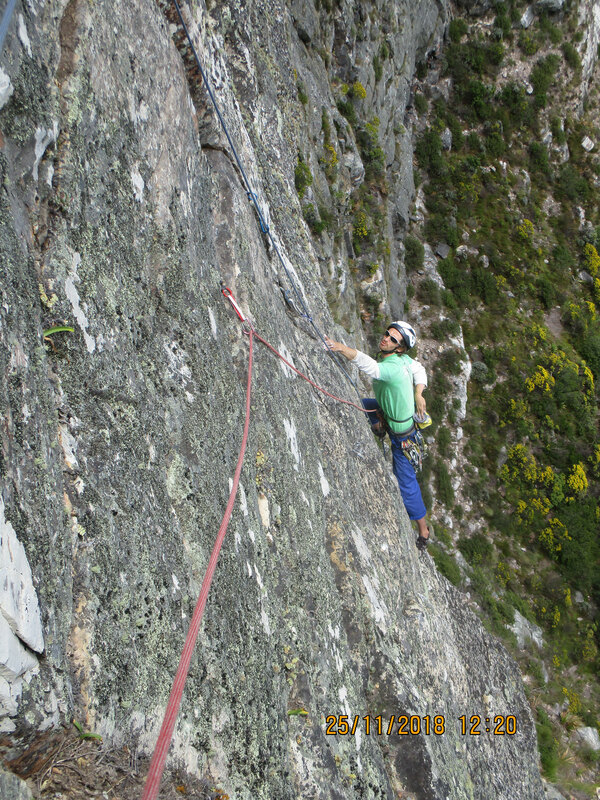 Approach: The route starts at the top of Africa Ravine. 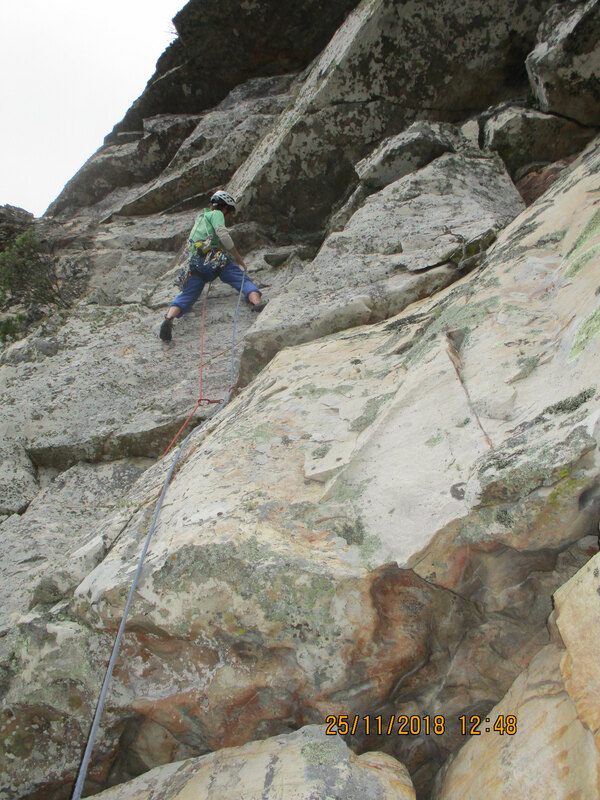 There are several good ways to get to it. 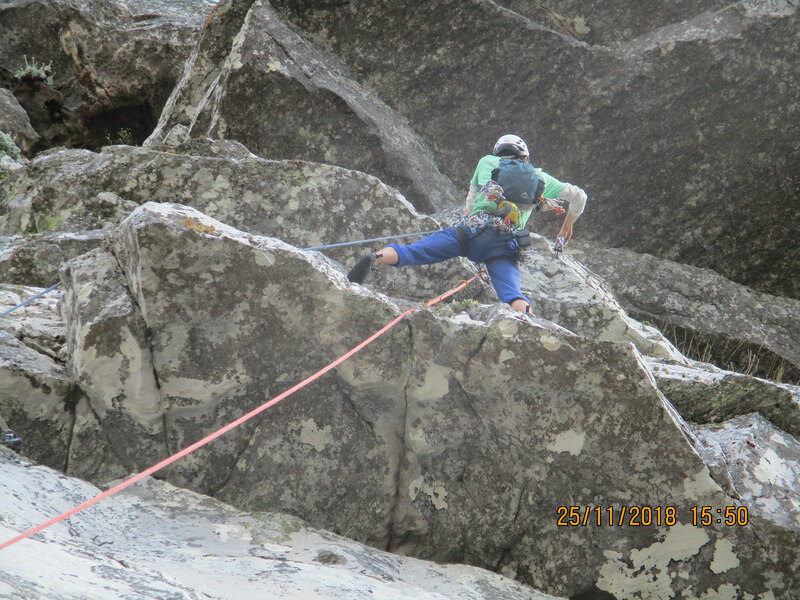 The nicest is to get to the Right Face – Arrow Face Traverse tunnel and then do a 50m abseil off the big cherry tree using the lowest link in the big chain. 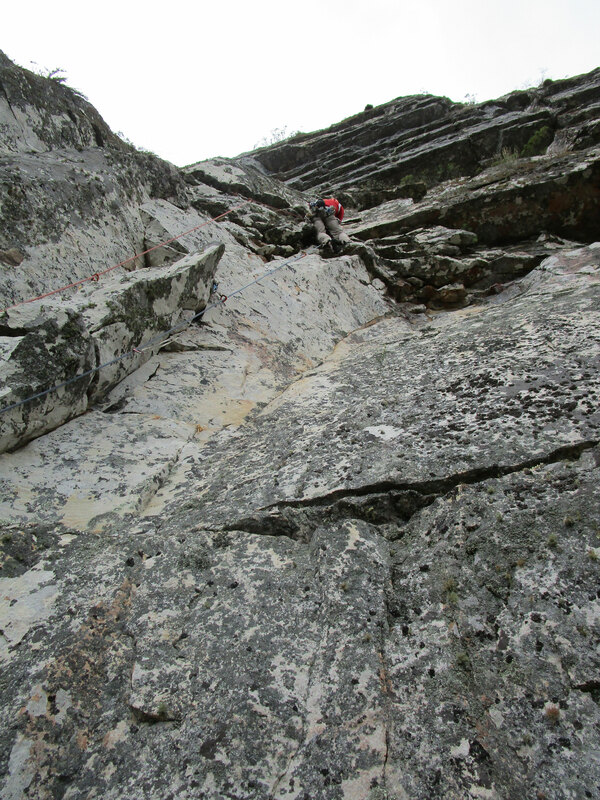 Start: The route starts at the far left of the amphitheatre on clean white rock below the big overhangs 60m above. 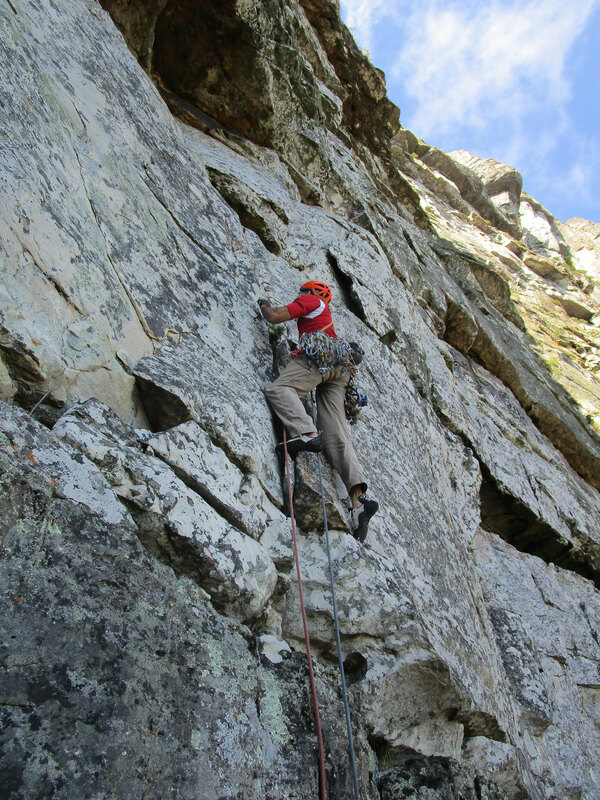 A few metres right from the tree in the very corner find a cairn below a clean vertical crack. 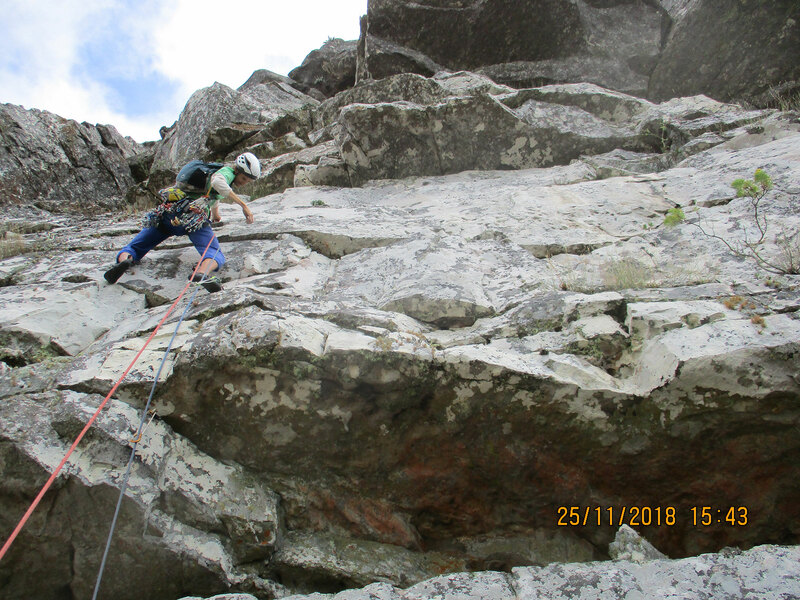 Pitch 9 20m 15: Climb the juggy wall on the left to the top. 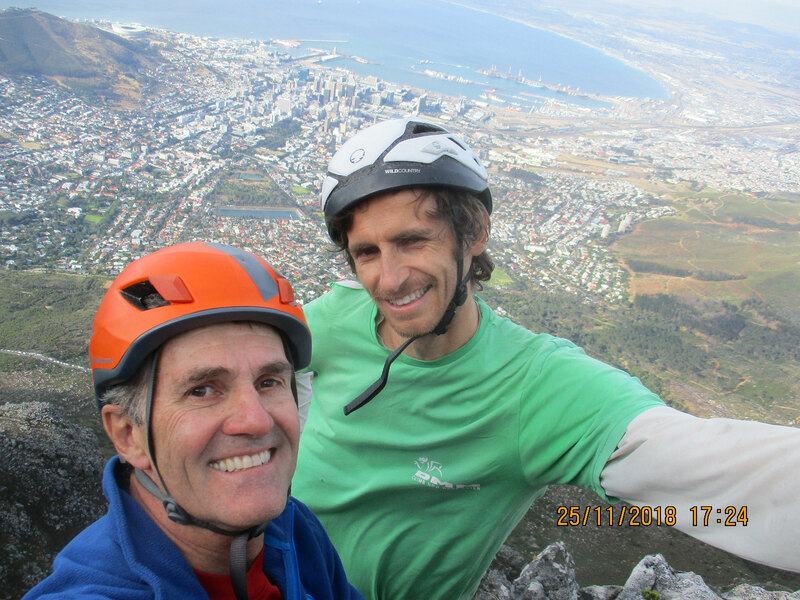 Hilton Davies and Richard Halsey happy with their first ascent! 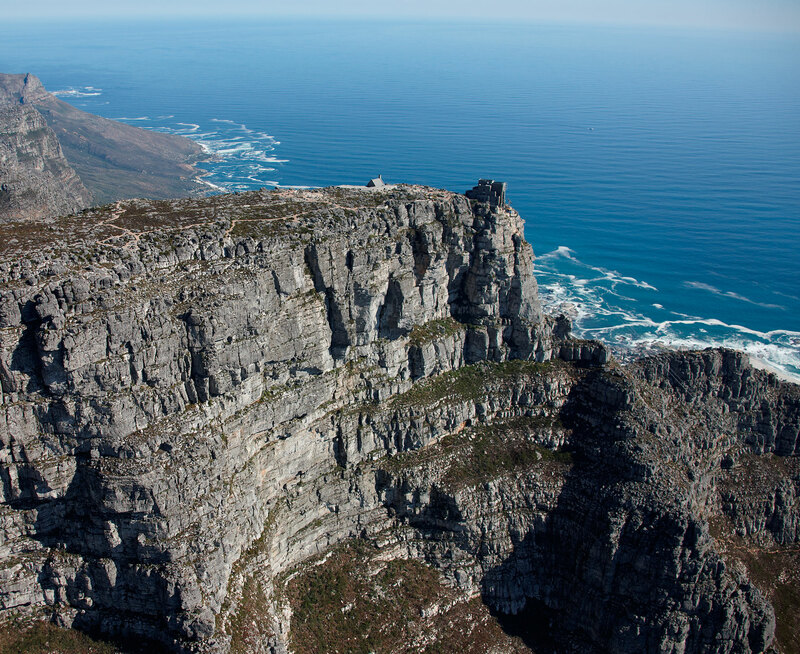 Descent: Cable car or India Venster walk. 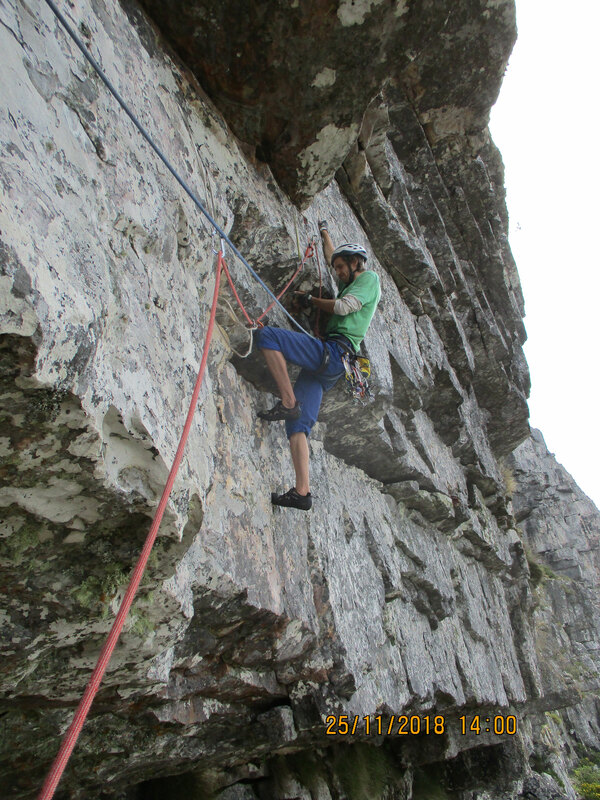 Double rack of cams, full set of wires including micros and 50m ropes are recommended. 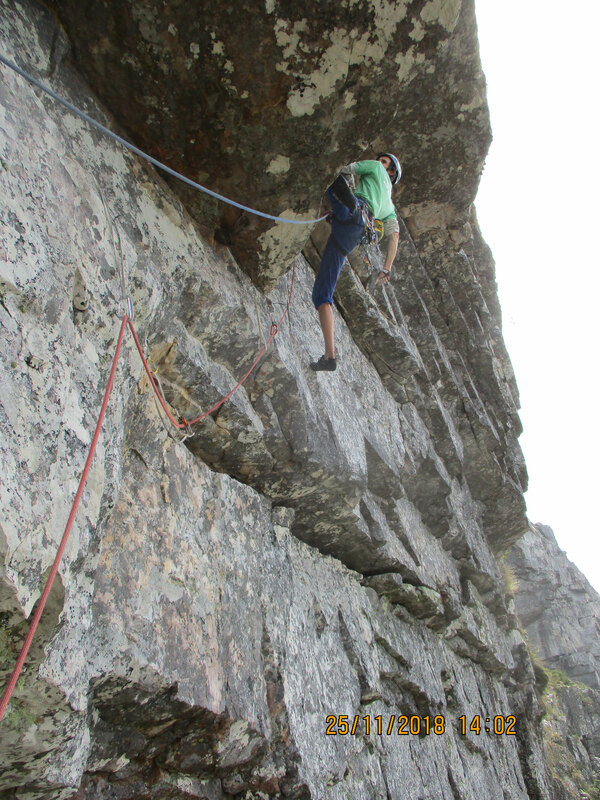 The crux pitch could be done with a single point of aid at about 23 A1. 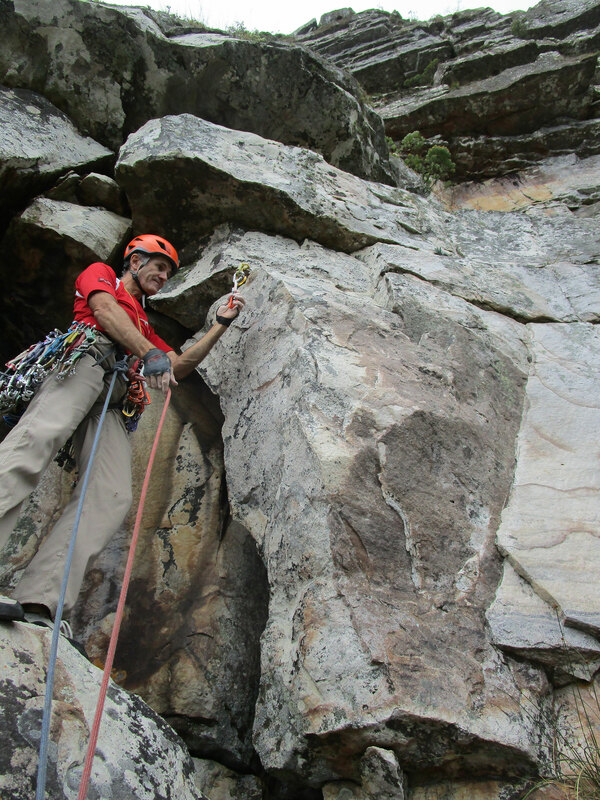 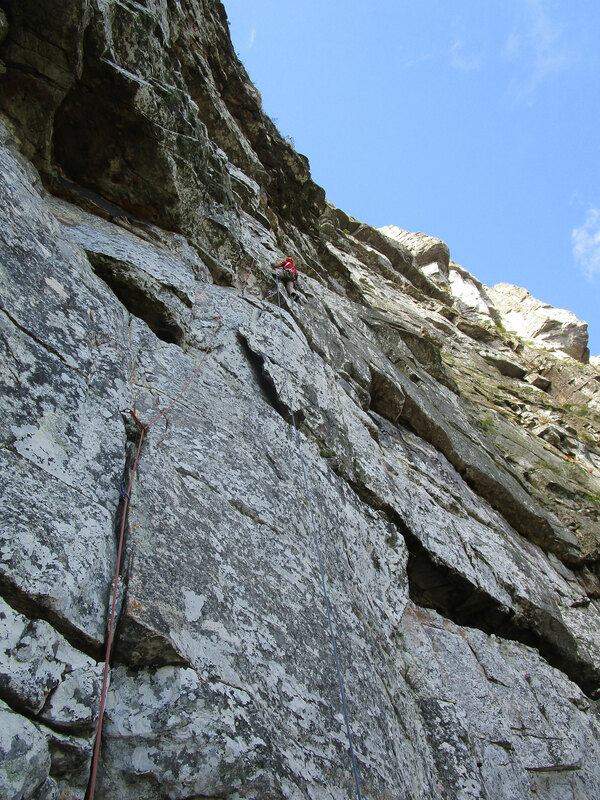 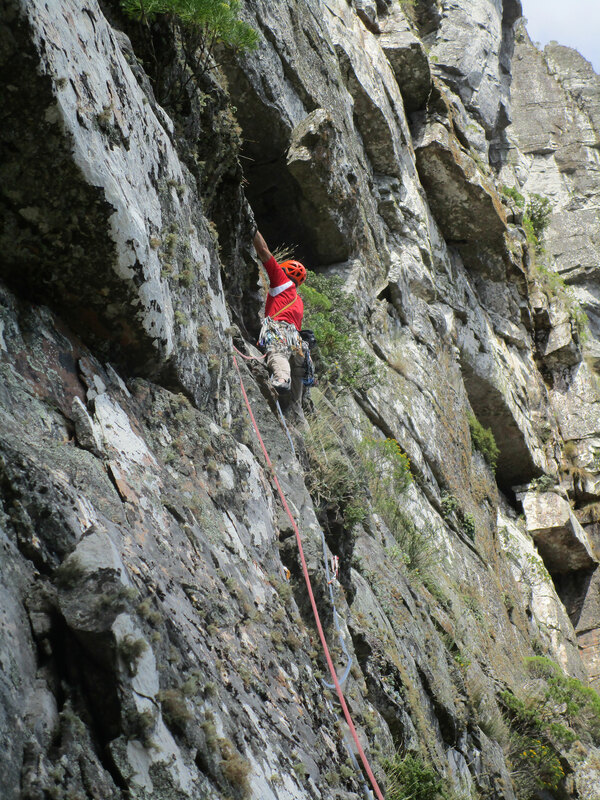 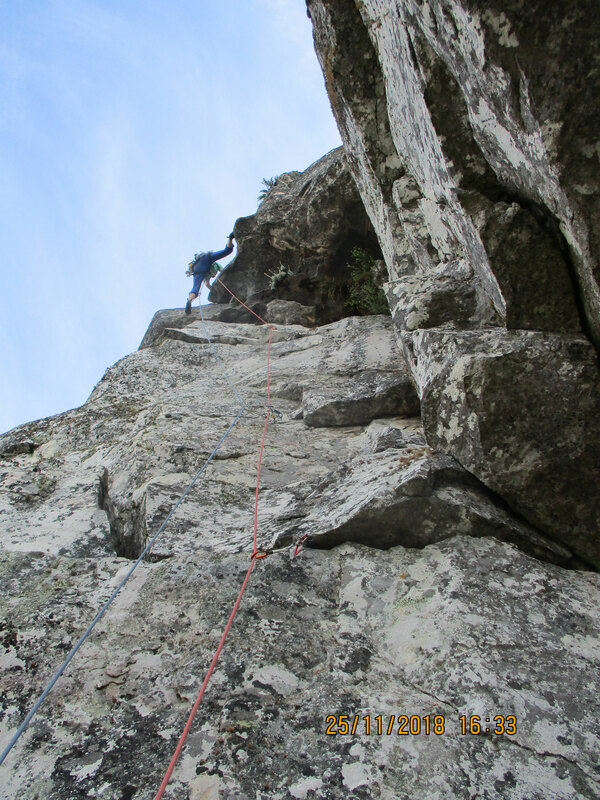 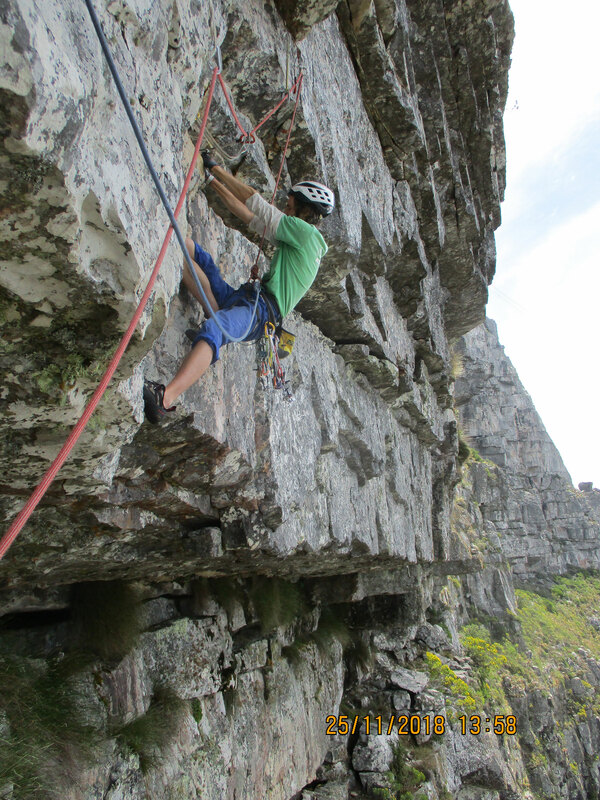 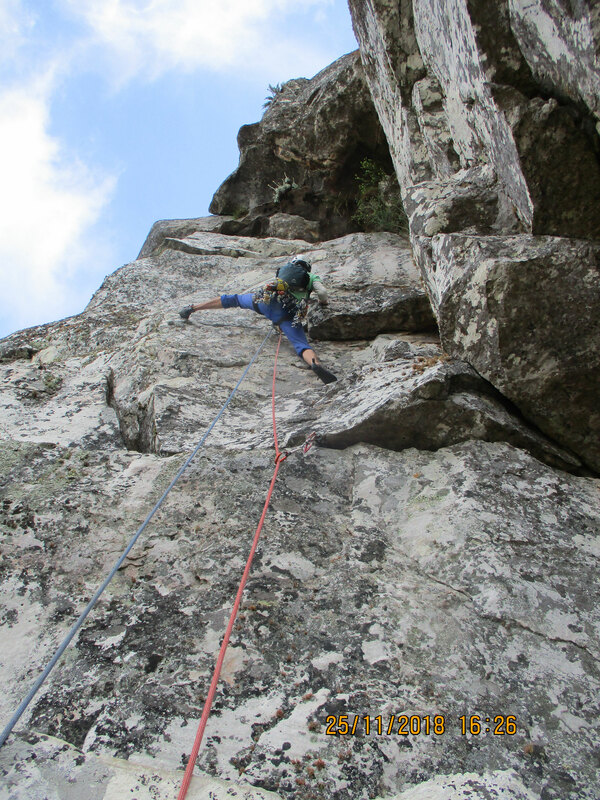 A free link-up at grade 22 would be to skip the crux pitch by moving from Pitch 5 into the top part of Kape Moss pitch 3 until the Bivvy Ledge.